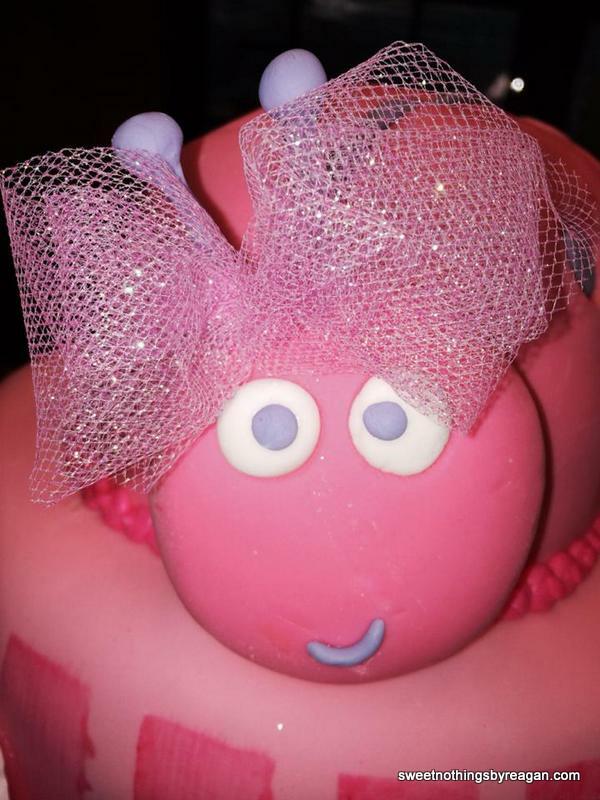 This little cutie was created out of a sculpted cake covered in fondant with fondant details. 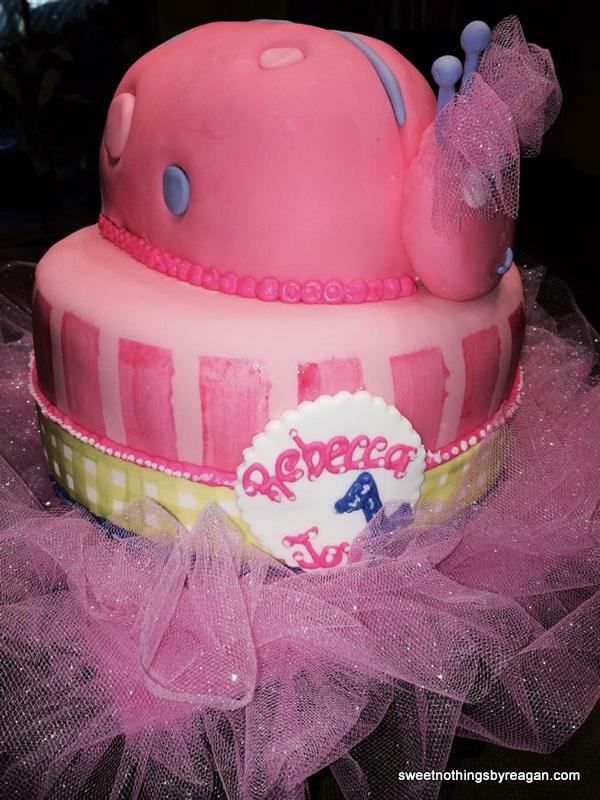 She sits atop a three-layer cake covered in fondant with hand-painted details. The white medalion identifies the birthday girl. 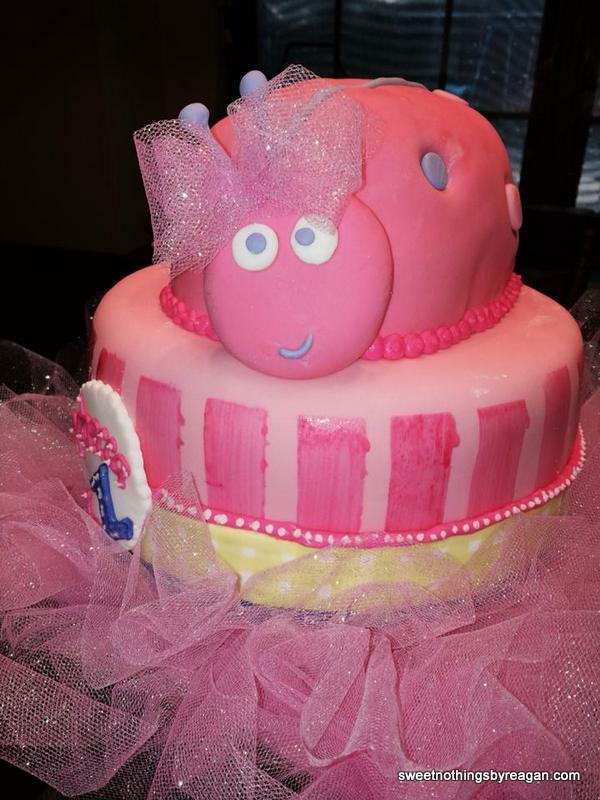 The whole creation sits atop a silver cake board adorned with a frilly, sparkly, very pink tutu. Miss Ladybug wears a matching bow in her antennae! Posted in featuredTagged 1st birthday, birthday cake, cake cakes, fondant, girl, ladybug, sculpted cakeBookmark the permalink.